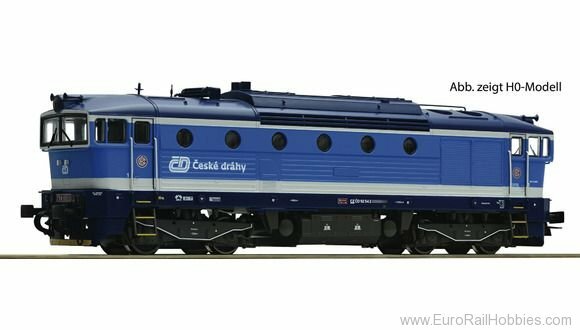 Diesel locomotive series 754 of the Czechoslovakian State Railways. Model with Najbrt Design. Motor with flywheel. Drive on four axles. Coupler pocket according to NEM 358 standards. Triple headlights that change over with the direction of travel.